On 17 October 1797 at the Peace of Campo Formio the Austrian Netherlands, the Rhineland and Lombardy are added to the territories directly under French administration. As compensation, Austria gains Venice and parts of the territories of the Venetian Republic. By occupying Venice, the Austrian Empire inherits Venice’s trade relations with the eastern Mediterranean. 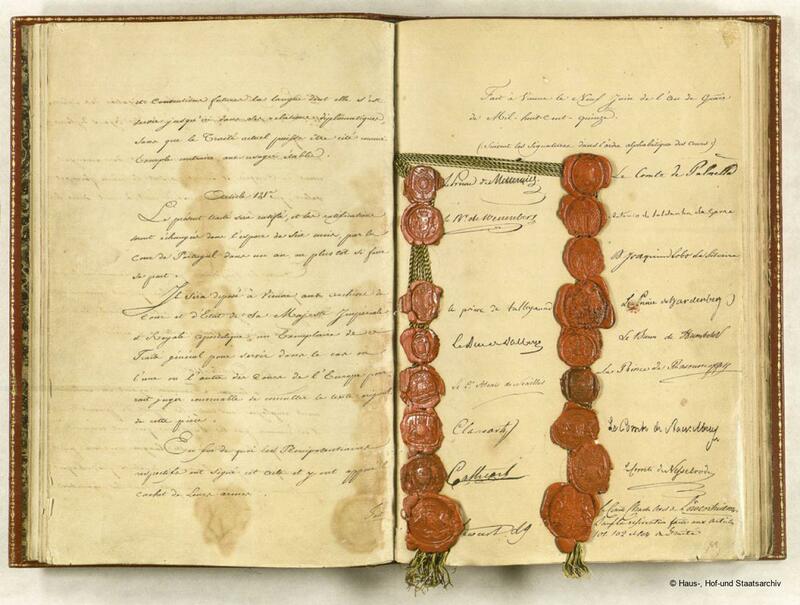 From 18 September 1814 to 4 March 1815, the European powers discuss the territorial settlement of Europe at the Great Peace Congress of Vienna. Austria regains Lombardy and takes the territories of the Venetian Republic as compensation for the loss of the Austrian Netherlands.